Newsflash: Iceland is a magical, beautiful, amazing, breathtaking country to visit. BUT it is also dangerous, cruel, and unforgiving. Seriously people, the number of stories about visitors getting lost, injured, or dying in Iceland increases every year! And then these storeis end up in the news and it’s absolutely *HEARTBREAKING*. So I want to make sure that all my readers are traveling to Iceland with an awareness of the beautiful nature and how dangerous it can be. I personally think Instagram has started a terrible trend. So they flag it in their saved folder, and try to recreate it the moment they get to Iceland. Am I right? Did you do this?! Trust me, I can understand where you’re coming from because I was a tourist myself (well I mean, I still AM a tourist…but you know what I mean). However, NOW I can also see it from the perspective of a local! Let’s get into the dos and donts of safety in Iceland! Do we really need to talk about why it would be dangerous to stand on an iceberg in a glacier lagoon? Yet, we see this story in the news. Not only is the water freezing cold, but there’s also an undercurrent that washes the icebergs out to the ocean. Danger written all over it! There have been several incidences of death at this beach, and yet everyone STILL tries to get close to the water for photos! I’m telling you…like every tenth wave will come up higher and stronger than the others! PLEEEEASE remember: the current at this beach is one of the strongest in the WORLD. If you get caught in the waves, it could be a fatal mistake. To be a licensed glacier guide you have to go through a lot of safety and training. I don’t know about you but one of the biggest forces of nature…I’m not trying to mess with that! Last year there was a tourist that fell through a crevasse and was swept under a glacier and died of drowning.Even if you have personal experience with glaciers, wouldn’t you just feel better knowing someone is there in case of an emergency?! Please be smart, friends. Did you know Iceland is classified as a tundra? This means the ecosystem is incredibly delicate! If the moss is damaged it can take HUNDREDS of years to grow back to its original state! I BEG YOU. Do not walk on this beautiful pillowy goodness. I mean they’re put there for a reason RIGHT?! I think the video says it all. Putting your INFANT’S life in danger to get closer to a slippery waterfall?! Whyyyyyy. Vedur.is has the local radar and has a great hourly forecast. Although the weather isn’t usually nice, it’s still a good idea to check for storms and plan your day accordingly. Road.is is where you can check the road conditions and closures for the area you are traveling in. Just remember, often times if there’s a big snowstorm, the trucks will focus their early efforts in highly populated areas before moving out. This could mean Reykjavik roads get cleared before, say example, the Snaefellsnes peninsula. You can read my blog post about the most terrifying driving experience of my life if you need an example! 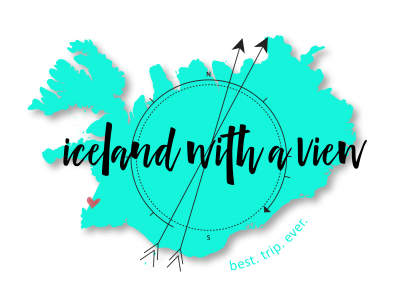 Obviously having a plan is SUPER helpful to get the most out of your Iceland trip. That’s where I come in! 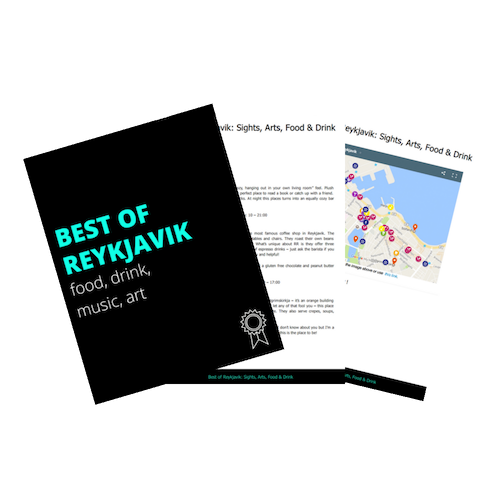 Did you know I’ve helped more than 50 people create the perfect Iceland itinerary?! *squeal…dream come true! * Between my custom planning and itinerary review service, I’d LOVE to help you to have the best.trip.ever! If there is a rope closing something off, respect it, don’t climb over it. Don’t be like the people at Gullfoss. Don’t. I speak with plenty of travelers that still feel uneasy tackling Iceland on their own. I get it, it can be scary! If you have any hesitation, that’s what the guides are for. Not only will they keep you safe, but they will teach you some fun facts along the way! Leave your itinerary with someone back home. Mom, sister, friend…anyone who knows what you’re doing. This is especially important for those traveling into the highlands or the winter. In the event of an emergency, the local number to call is 112. The 112 app is free to download and can call the Search and Rescue right on the spot. It also gives you the ability to check in with your location, for those who are going on a hike or traveling into the highlands. Question: What kind of unsafe tourist actions have you seen? Let me know in the comments! 5 WIFI Options for Traveling in Iceland: Pros & Cons of Each + BONUS tip! OMG seriously! Nature is constantly changing and eroding the landscape. Like the azure window falling in Malta, that could happen anywhere around Iceland! So scary. I completely agree that I think some photographers on Instagram have got a lot to answer for. If you see something on Instagram, and it looks like a cool photo, you think it’s ok to do it yourself and perhaps are laxer than you would be otherwise. I’ve noticed it causing issues with people ignoring roped off signs for conservation purposes ‘because they saw a shot on Instagram’. It drives me crazy every time I see a photo and I know it was taken in an irresponsible way – sure, everyone has their own mind and can make their own decisions, but clearly, it is causing some people to do stupid things because they think it’s ok, or safe. I’m a HUGE advocate for responsible tourism and 100% believe that everything and everyone should be respected. You hit the nail on the head with this one!!! We saw people crossing over barriers at Fjaorargljufur to pose for photos on the edge of the cliffs. The ropes are there for a reason! !